In the days since the terrorist attack on two mosques in Christchurch, New Zealand, a world in shock has been asking how this was able to happen and how our fellow human beings have been radicalised to an extent where they are capable of such atrocity. The world may well be asking, but, for those of us involved in the anti-hate community, this extremist act of hate did not come as a shock. For many of us this was an inevitable consequence of the far right and extremist hate rhetoric that has been allowed to flow freely across all social media platforms. As to why it happened, Resisting Hate have been telling you that for years. I told you in January 2017 that the internet is being used as a tool for far right radicalisation. I told you that racist speech causes harm. I told you that hate speech incites violence and that allowing hate figures like Tommy Robinson and Katie Hopkins a platform is indoctrinating vulnerable people into racism and hatred. I warned about far right groups using tragedy to support their bigoted agenda. I told you that the only way to eradicate terrorism is to create an environment where hate cannot flourish. I told you about the extent of the problem with far right trolls and how they use the internet to abuse and to spread their doctrine of anti-Muslim and anti-Jewish hatred. I warned about sites like Gab.ai where pro genocidal discourse is spread entirely without censor. I took extensive screenshots of the problems. Our anti hate organisation, and many others like us, sent them to the media, to politicians, to the police. We pleaded with social media giants to get far right extremists off their platforms. We knew what was coming. All of us involved with Anti Hate knew what was coming. And now we have to try and understand the root cause before it happens again and again. For Hate to spread widely it needs three key elements. It needs a disillusioned populace, it needs a charismatic leader and it needs a strong communications network. Austerity and the Conservative government have taken care of the first one but we need to look toward social media to understand the impact of the remaining factors. Social media has effectively elevated far right political activists to celebrity status. 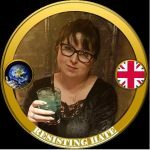 Both the hate group Britain First and the hate preacher Tommy Robinson managed to amass Facebook followings of over a million people in 2018 before finally being suspended. To put it in perspective, that is a following bigger than any single UK political party on the same platform. More people were being exposed to anti Islam hatred than the Facebook updates of the two largest political parties in the country combined. Social media has been negligent at tackling these hate preachers. The standards that apply to low volume, low follower accounts on Twitter, Facebook and You Tube do not apply to these high revenue generating hate preachers. It is unbelievable that Katie Hopkins can call for a ‘final solution’ on Twitter and remain on the platform. It is unbelievable that Tommy Robinson can publish a video on You Tube where he calls all Muslims ‘enemy combatants’ and remain on the platform. In prioritising profit before morality the social media giants have allowed hate to become a money making industry. And as a result, they have blood on their hands. Social media personifies the old saying that a lie can fly round the world before the truth has put its boots on. Giving radicals a platform allows them to spread their lies, unchecked. Vocal leaders like Robinson go unquestioned by the indoctrinated fan base. If Tommy Robinson tells a million people that Muslims are the enemy then even if only one percent of those followers believe him and even if only one percent of those that believe him are galvanised into terrorist action as a result then that is still 100 people too many brainwashed into waging violence and war on innocent people. Social media has given a platform and a voice to some of the most despicable people on the planet. 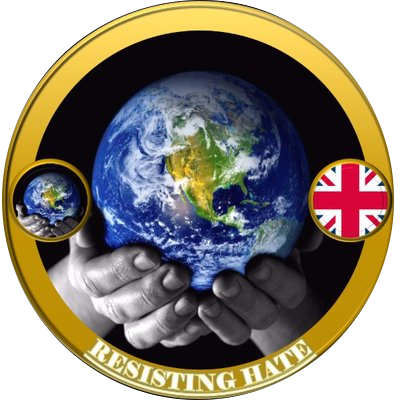 It has allowed hate to be monetised, effectively enabling it to become a profitable way for thugs and radicals to con the public into handing over their cash. 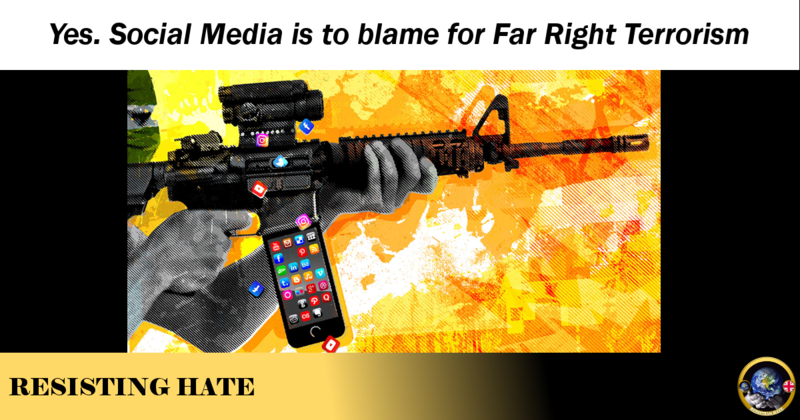 Social media giants have turned a blind eye to widespread radicalisation and incitement to violence, choosing profit over social responsibility. Social media has given every bigot, idiot, racist and fascist the anonymity to spew hate without fear of reprisal. Social media is the field upon which the seeds of hate were sown. Now as we reap the rotten harvest of the haters we have to ask ourselves not how this happened but just how in hell are we going to stop it from happening again. You can bash Tommy Robinson and others all you want and say they don’t deserve a platform, which is just plain stupid and opposite of freedom, which is what I expect from Progressives. To just blame social media without taking into account of what has happened “in the real world” in the last decade or more is pure idiotic. Everyone deserves a platform, to preach silencing people because you don’t like what they have to say is exactly what the FAR LEFT has been doing since the 1900s. On top of starving millions, killing them due to race and politics. I’m still awaiting your article on that racist piece of garbage Karl Marx.